We receive and store the information entered by you on our website or provided by you in any other way, including e.g. information provided to us during your stay as a guest in any of the hotels run by us. Provision of any information is voluntary unless specified otherwise. However, in cases when you decide not to provide some information, it is possible we might not be able to reply or react to your query or request and you will not be able to use some or all our services. To make the picture complete, we state that the information we gain from you include mainly the obligatory information provided according to Act No 326/1999 Coll. on the residence of foreign nationals in the territory of the Czech Republic, as amended, and Act No 565/1990 Coll. on local fees, as amended. This information includes the name, surname, date of birth, nationality, permanent address abroad, passport number and visa number if marked in the passport, check-in and check-out dates, and possibly the purpose of your stay. Optionally we can also require other information from you, e.g. the number plate of your car for parking, e-mail and phone number for the purpose of sending commercial messages. If you enter any data on behalf of another person, you guarantee to us that you are authorised by this person to enter their personal data in our system and that this information is correct and accurate. If a loss or damage occurs to us due to your breach of the obligation arising from this provision, we are entitled to claim its compensation from you. We receive (and in some cases assess) certain information from every interaction with you. 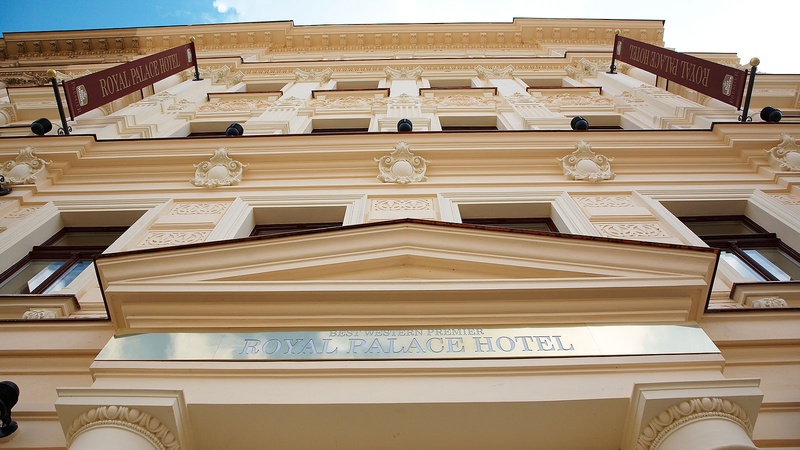 For example, like many other websites, we receive information of certain types when you access the websites www.hotelbilalabut.cz, www.royalpalacehotel.cz you’re your search engine – including your IP address, search engine and operation system type or date and time when you used our services. We can also collect information about clicks and websites displayed to you. If you use a mobile device, we can collect the data identifying this device, data concerning the type of the device, its setting and characteristics, information concerning the location, application failures and other system activities. If you provide your e-mail address, we can send you advertising and marketing materials by e-mail. In every e-mail sent to you, you will be offered an option to unsubscribe from receiving advertising or marketing materials. If you are accommodated as guests in hotels run by us, after the end of your stay we can also use your e-mail address to send you a questionnaire as part of our customer satisfaction survey. If you do not wish to be sent this questionnaire, you can inform us about this fact on the e-mail address: sales@hotelroyalpalace.cz. If your stay in the hotels run by us is booked online, you can also be sent an automatic generated e-mail confirmation, if you make any purchase transaction with us, and occasionally from our booking agents as regards questions concerning your booking of any of our products and services. With the aim to increase the level of personalisation of our services (for example providing recommendations and special offers that we believe you may be interested in), we can obtain information from other sources and add them to the current information about you. If it is necessary for us to be able to provide services to you, entre or fulfil a contract with you or reply to your questions or requirements or react to them by taking some measures, we can share the current information with third parties. We also use third parties for processing of payments between the booking person and the accommodation facility. These service providers share the payment details with us so that we were able to manage your bookings and make sure that everything is all right. Age limits: Transakta company does not collect any personally identifiable data from our websites from any persons known to be under 18 years of age. Transakta company can collect information from persons under 18 years of age within the registration process but always with consent from their parent or custodian. Why does our company collect and use your data? As it is specified in item 1) Information provided by you, most of the provided personal data are required primarily for the fulfilment of statutory obligations. Your personal data are also used mainly for completion and administration of your booking and on its basis also for fulfilment of the contract on accommodation, which is crucial for our company as a provider of these services. Your data are used for marketing activities. These activities include mainly using your contact details for sending information about products and services connected with your stay in our hotel, with your booking or with opening of a user account. You can unsubscribe from this marketing communication quickly and easily anytime by means of the unsubscribe link which is part of every newsletter. In certain cases, we can contact you by e-mail, telephone or text message depending on the contact details provided by you. The communication you sent to us is processed by us. Processing of and replying to all your requirements concerning accommodation and booking. If you do not complete your online booking, we can send you an e-mail with a reminder that you have an unfinished booking. We believe that it is a useful service as thanks to it you can continue the commenced booking and do not have to fill in your booking details once again. If you use our services, we may send you a questionnaire or ask you to evaluate your experience with our company. It is possible we will have to send you some other administrative messages, such as a security notification, even if you do not have any current booking. Sometimes we ask our customers to take part in a market research. Any further information you provide to us within the market research will only be used with your consent. To create trustworthy environment for you, other guests and business partners, we reserve the right to use personal data for exposure and prevention of fraud or any other illegal or undesirable activities. Personal data can also be used to assess the risks and due to any other safety reasons, e.g. to verify authenticity of users and bookings. Due to this reason it may happen sometimes that certain bookings will be suspended. Personal data are also used for analytic purposes so that we were able to improve our services and experience of our customer but also for testing purposes, solving problems and improving the functionality and quality of our on-line services in the field of tourism. Our main goals is optimising of our online platform and adapting it to your needs so that its use was easy and comfortable for you. As specified in item 1) Information provided by you, provision of accommodation services is connected with fulfilment of legal obligations in relation to the police, competent local authority etc. It is necessary to use your information for the fulfilment of the contract you concluded with us. For example, if you use our services for on-line booking, your data will be required for us to be able to perform our obligations and complete your booking within the scope of fulfilment of the contract concluded with you. Your data can be used for rightful interests, such as ensuring of the most suitable content of websites and newsletters, and for administrative purposes, fraud detection and legal purposes. If the personal data are used for direct marketing, we can ask for your consent. You can withdraw your consent anytime. You can just send an e-mail to the address specified at the end of this Information. With whom are your data shared and to whom are they passed? Your personal data can also be processed by third parties that can process the data e.g. for sending marketing materials. These third parties are always bound with confidentiality agreements and they are not allowed to use the information for any other purposes. These third parties include SW solution suppliers, travel agencies, booking system operators and accounting companies. If a chargeback is required for your booking by you or by the holder of the card used to guarantee the booking, it is possible that we will have to share some booking details with the providers of payment services and relevant financial institutions. These data may include a copy of your booking confirmation or the IP address from which the booking was made. If it is considered necessary, we can share your data with the relevant financial institutions for fraud detection and prevention. Personal data are made available for fulfilment of legal obligations and law enforcement or if it is required by law or necessary due to prevention, exposure and prosecution of fraud and crime. Personal data can also be made available to competent authorities to protect and defend our rights and assets or the rights and assets of our business partners. We cooperate with business partners all over the world. Some of these business partners distribute or promote our services or help other our business partners to distribute or promote their own services connected with travelling. It can mean that their services are integrated in our website/application and they are allowed to present personalised advertising to you. To collect information from you, we can use monitoring tools, such as cookies and search engine web signals. The information about the users is collected when these websites are used by these users. In this way, information may also be collected for us by third parties. Google Analytics – the Google Analytics tool is used to gather information about the way in which our website is used by users. We collect for example information about the sites from which our visitors land on our website and the total number of visits of a user on our website. It may also include the information about the user’s location. Monitoring by Google Analytics technology can be banned by installation of an additional Google Analytics Opt-Out Browser module in your current browser. For more information, visit https://www.google.com/intl/cs/policies/privacy/. What safety measures are applied to protect your personal data? In accordance with the European Union laws on data security, we apply adequate procedures to prevent any unauthorised access to personal data and their misuse. To protect and secure the personal data provided by you, we use the necessary business systems and procedures. We also use safety procedures and technical and physical restrictions for access to personal data and their use on our servers. Personal data are only accessible for the authorised staff working with these data. Your personal data are only kept for the necessary time, i.e. mainly to be able to fulfil the concluded contract and legal obligations. For the needs of archiving contracts (and possible claims that may arise from the contract even after its termination) and with regard to legal requirements, we keep the data for maximum 10 years after the contractual relation is terminated. For the fulfilment of the contract and legal obligations, we can process the required personal details without the consent of the data subject. How can you check the personal data provided by you? You are always entitled to access your personal data kept by us. You can also require a list of these data by sending an e-mail to the below specified address. In the subject of the e-mail, please specify “Request for personal data” so that we were able to process your request as quickly as possible. You can also contact us if you believe that your personal data kept by us are incorrect, if you think that we are not entitled to use your personal data any more or if you have any other questions concerning the use of your personal data or Confidentiality declaration. If processing of the personal data is based on the rightful interest of the administrator (including direct marketing), you can raise an objection against this processing if it concerns the objected purpose. Contact us by e-mail or by post at the address Lodžská 399/26, 181 00 Prague 8 - Bohnice, telephone: +420 221705203. 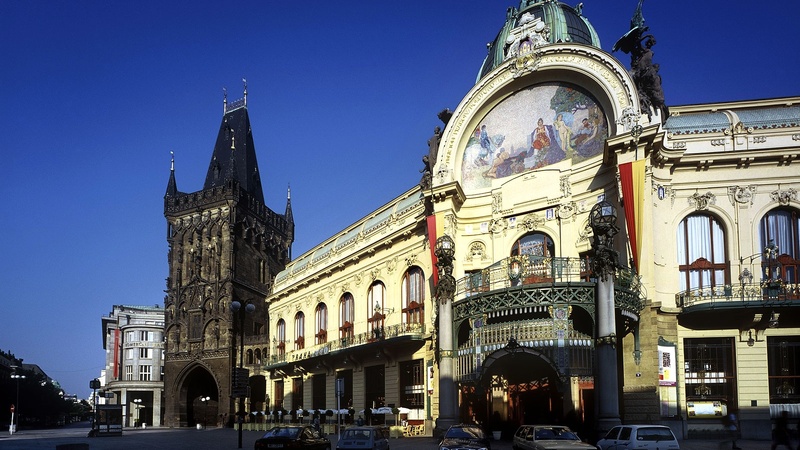 Your request will be handled in accordance with the applicable Czech legislation on personal data protection. If you come to conclusion that your rights were breached in connection with our data processing, you can file a complaint at the Office for Personal Data Protection, with the registered office at Pplk. Sochora 27, 170 00 Prague 7, www.uoou.cz.